Nigeria’s leading carrier, Air Peace, has said there was no plan to cancel its order for 10 Boeing 737-MAX 800 aircraft following worldwide concerns about the safety of the planes. The airline spokesman said any decision about cancelling the order is premature. Mr Chris Iwarah, Corporate Communications Manager, Air Peace, said in Lagos on Monday night that the airline would continue to act in the interest of the safety of the flying public. Ethiopian Airlines had grounded all B-737-800MAX aircraft in its fleet till further notice following Sunday’s crash of its fight ET302 which killed all 157 persons on board. The aircraft en route Nairobi from Addis Ababa, crashed six minutes after takeoff around Bishoftu, 40 miles south-east of the Ethiopian capital. The crash was the second involving the B737 MAX 800 aircraft in the past four months following October 2018 crash involving a Lion Air plane which went crashed into the sea off Jakarta, in Indonesia, killing all 189 people on board. Other carriers in China and elsewhere have grounded the B737 MAX 800 aircraft in their fleets due to safety concerns. Iwarah said that the multi-million dollar deal signed between Air Peace and the American aircraft manufacturer, The Boeing Company, on Sept. 13, 2018 for the delivery of 10 brand new B737 MAX 800 aircraft was still on. “At this moment, it is premature to begin to talk about things and conclusions that have not been put in the public domain. “Investigations into the crashes involving B737Max 800 are ongoing so it will not be fair at this time to begin to make definite comments on those issues. “We are still in the domain of investigation but we want to assure the public that we are following the development very closely,” he said. The Air Peace spokesperson said the airline had not yet taken delivery of the ordered aircraft, adding that before that time issues surrounding its safety must have been identified by global aviation experts. Iwarah said : “We also trust that Boeing is capable of responding to the issues technically. They have the capacity to respond to that. “I want to say clearly that we will not engage in anything that will jeopardise the lives and safety of our passengers. There is no basis for talking about cancelling the order. “Any step we take now will be premature until investigations are concluded. So, we are following the investigations very closely to ensure that at the end of the day only the right thing is done. He further explained that the B737 Max Air were “suspended” by those already operating the equipment to enable investigation run its course. “If investigation runs its course and they feel that there is nothing to be worried about, they will lift that suspension and continue to operate the aircraft but on our part, we have not even taken delivery. 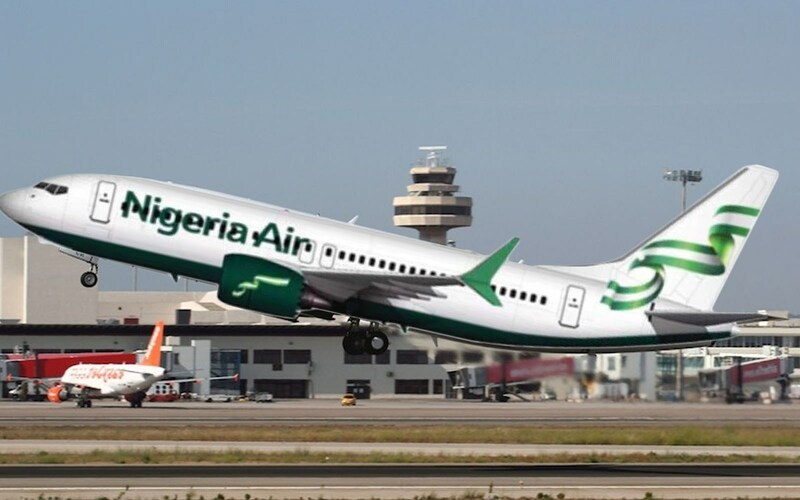 “We are currently working with Boeing, we are also asking questions and following all developments because we are a safety conscious airline,” Iwarah added.